Have you read this novel by an Afghan author Khaled Hosseini? If you haven’t, I would recommend you to read it; because it is really worth reading. But let me tell you what I liked about it. It is a lifelike story with a gripping plot, skilfully told and provided with vivid descriptions. Most of it is set in Afghanistan (starting from 1970s), and for me it was like discovering a parallel reality, delving into a different culture I knew very little about. It is a dramatic life story that touches a deep chord in your heart, dealing with serious and profound questions. Love and hate, friendship and loyalty, faith and betrayal, sin and redemption, courage and cowardice, moral values and principles, dignity and honour, generosity and meanness, honesty and lies, mistakes, compunction and expiation, family, religion and society, traditions and conventionalities, childhood and maturation, social inequality and discrimination, war and politics, wealth and poverty, justice and unfairness – all these themes, one way or another, are embraced by the writer. I won’t tell you anything concerning the plot, and if you decide to read the novel, try not to resort to Wikipedia for any references about it, unless you don’t mind coming across spoilers. In an attempt to get some historical background I accidentally read what was supposed to be revealed to the reader only at the end of the story, and I must say I wasn’t happy about that. Most of the plot keeps the reader in suspense, and I think it could be characterized as unpredictable and predictable at the same time (although, as my own case was kind of messed up, I can only imagine the degree of predictability). Besides that, I really liked the way the novel finishes: like a good movie, which leaves space for thought and imagination. In a few words, definitely an unforgettable reading experience. Запись опубликована в рубрике Книжное, Zаметки и записки с метками Books. Добавьте в закладки постоянную ссылку. 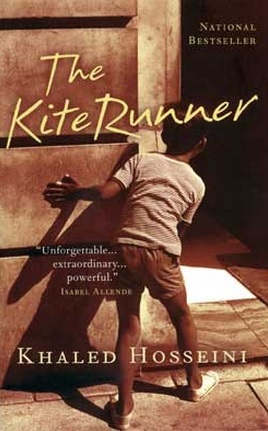 Yula, thank you very much for your detailed review of The Kite Runner. Reading something about Afghanistan, its history, politics and religious ideology is something new. I must admit that when i was looking for the information about this book i also came across the Wikipedia review and got a bit annoyed by the fact that whoever wrote that review revealed the plot. Here there is a problem with the word «touching». Is it a verb or an adjective? Because that does make a difference. «Touching» is not only Gerund of the verb Touch but also means «трогательный». I don´t think you wanted to use this word in the meaning of «трогательный» but if we put it after «but» it is going to have exactly that meaning. It is a dramatic life story that touches a deep chord in your heart. I may be wrong and the expression «Most of the plot» is absolutely correct but it just doesn’t sound right to my ear. Olga, thank you very much for your comments! They are really helpful. You’ve just confirmed my doubts about «touching»: of course I meant to use it like a verb, and the gerund form sounded strange to me. You know i am really confused now and as i wrote before i may be wrong. So i consulted with my american friend and she said that «Most of the plot» is not a mistake it is absolutely correct to put it that way but «Most of the plot twists or scenes» sounds a bit better.